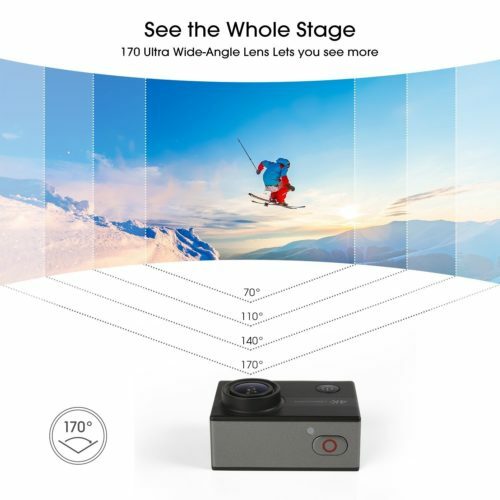 With a 170° wide-angle lens, you can capture your surroundings like never before. And the 4x zoom offers even more versatility for shooting your environment. 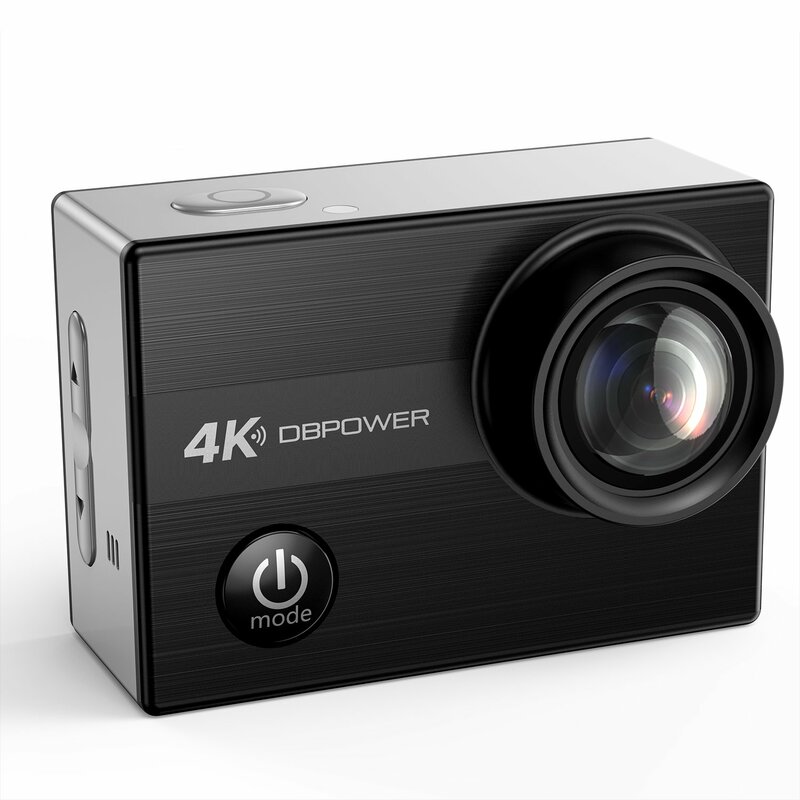 Different from the common shooting angles of traditional cameras, the image on the DBPOWER 4K action camera is wider and the scene is more real and natural. Wonderful pictures are all captured as a result. 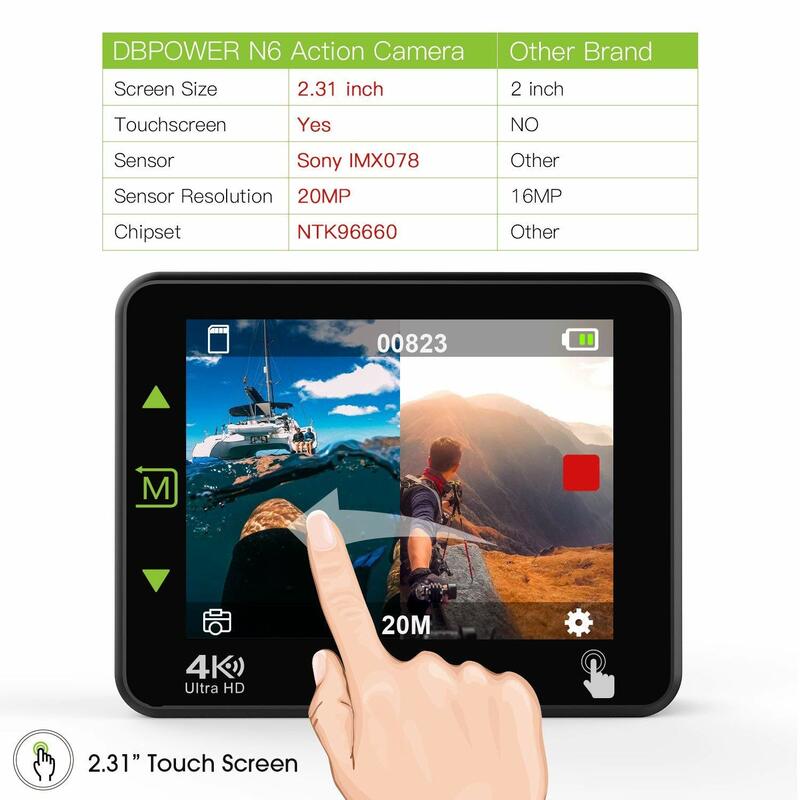 Built-in Electronic Image Stabilization (EIS) with 3-axis gyroscope, turn Gyro on when shooting video. Gyro is useful for shooting video when there is upwards and downwards motion. 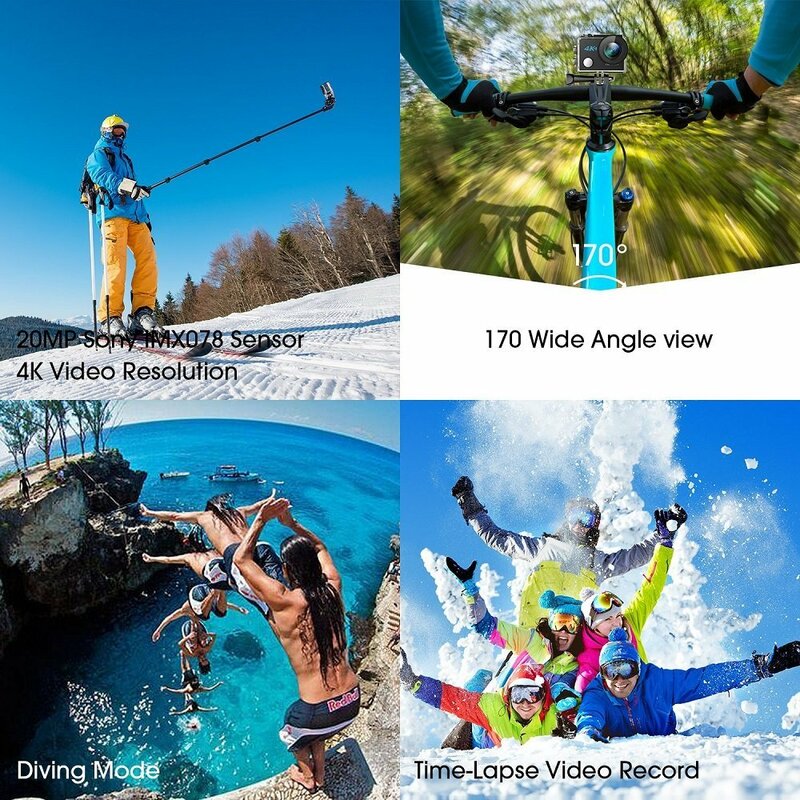 When you are recording using DBPOWER N5 Action Cam while biking, Gyro will make your video that much more smooth. Question: Can I use with a Go pro head band? Yes, The can use with GO pro Aceesories. Question: Is there audio rec/pb on this unit? Question: Will this camera work on a drone for FPV? Question: Can I charge the battery let’s say using my cell phone charger connected to the outlet instead to the pc? 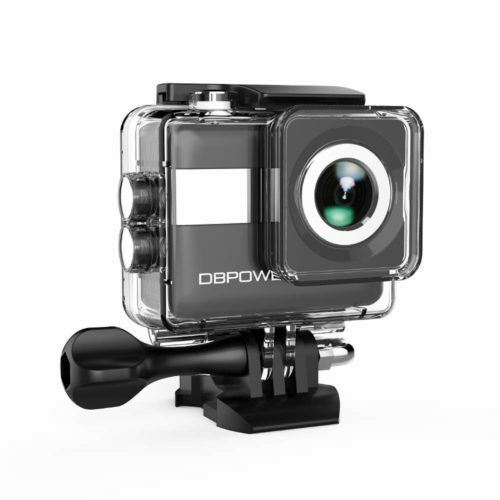 Question: Does this have the same mount as a gopro? my toyota has a gopro mount on the windshield. Answer: Yes it does it has 3 differnt mounting brackets i put mine on my helmet or it could go on the windshield, then it has a belt clip if you wanted to carry it there. I love that it has 2 batteries. This camera is just lile a gopro without the pricetag. Question: does A Battery charger come with it? Answer: The battery can be charged through the camera itself. A charger specifically for the battery does not come with the purchase. Quality of the purchase trumps the lack of a battery charger. Answer: If to a zippered storage case you are referring, mine did not, some do apparently, depending on what version, model etc. Actually great quality, to be honest I wasn’t expecting what I got, it’s super easy to use and set up. Great camera for the price just needs to be a simpler menu option, instead of hitting 3 buttons to get through the menu screen, just have a dedicated button for the menu. It is a good product and very reasonable and affordable price.. I had a DBPower action cam from a few years ago and this one is much better and handles contrast very well while im skating. great little camera comes with all kinds of assortment only reason give 4 will not zoom that’s what ordered for says 5x zoom. shoots very good photos and is a nice combo pack, the interface is hard to use and the app is even worse. But the camera photo quality is excellent. Purchased this to make a VLOG for a two week trip my wife and I took to Bali and Thailand. 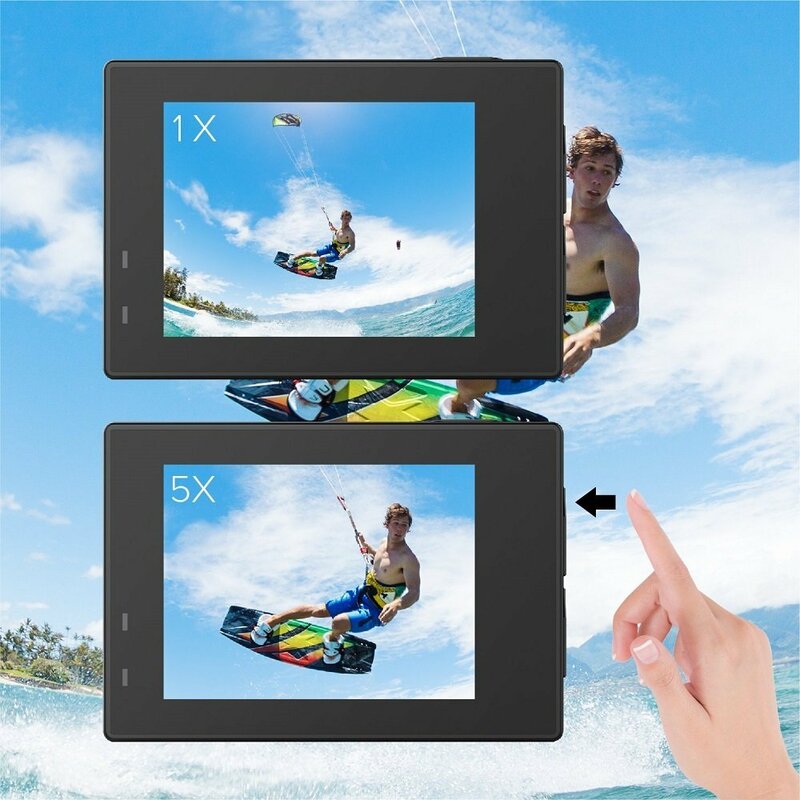 Great quality videos and pictures. My only complaint is the short battery life. An additional battery is included which helps,but it would be best if you have an external battery pack with you. Took good skiing videos from top helmet mount. Used this on trip to lake placid white face mountain in March 2018. Ski Helmet glue mount worked great. Sound and video quality are superb considering price range. There are different fps and resolution setting to help with data storage too. You do need to get your own micro SD card. 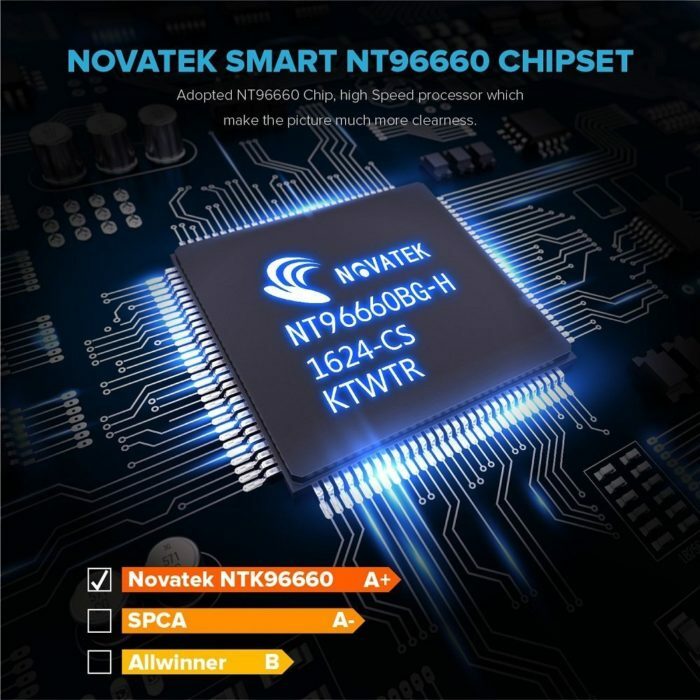 Performs well for the price. Camera works well. Customer Service is good. Great little camera, at about half the price of other cameras. 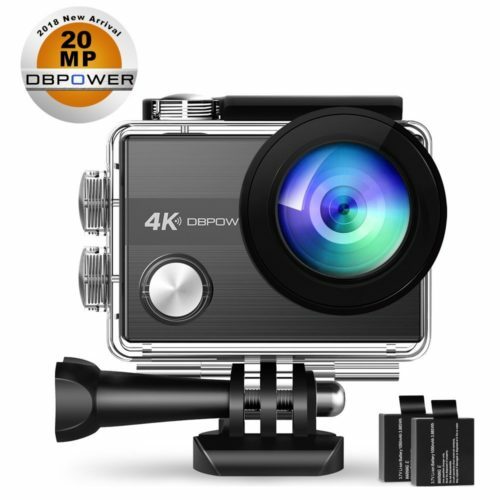 *Update on 8/26/2018* Four months after our initial review, Allen from DBPOWER contacted us and he is processing a full refund to us. A bit late to be honest, but at least Allen is fast. I would give this brand another shot in the future. The video quality is fine, and that’s about it for the pros. There is a constant hissing/buzzing background noise, especially noticeable when the recording environment is quiet. We have tried to play with the settings to no avail. We left a few messages regarding the same problem at DBPOWER customer service website couple weeks ago, zero replies! Very disappointed. We would try to avoid this brand from now on. Just finished a week at a popular Utah National Park that has many off road opportunities in the park and the surrounding areas. I used this camera to film about 2 hours of video, plus 50-60 photos. The videos are 5 star. Using the Gyroscope and anti shake features, the picture remains stable. Color and quality of HD was incredible. The wide angle lens produced a get aspect from filming on a windshield mount. It does use up battery fast, so I was glad I ordered extra batteries plus USB charger that I could charge from auto dashboard. Quality control is often not a key part of production when mass produced in China. This camera is great for the price. Mine isn’t as good as it claims, but another one may be better than it claims. Yes, that is possible. The WiFi app isn’t working right now. They did an update in Feb 2018 and the app is not loading on apple products. If you have an older version of the app that is working, don’t update it until they come out with a new update. The manual isn’t very instructive, but if you follow the basic maneuvering technique described for the four buttons you will get used to the navigation in 30 minutes or so. It is frustrating at first. I initially wrote this review 6 months or so ago. The camera was unusable to me with the app not working. The camera shot video straight ahead, but all the pictures were off center. I could only move data from the camera to my computer with the micro SD card. So I couldn’t view or edit anything with the small screen on the camera and the app was not working. I threw the camera away! Now the company is offering to send a new one, but even that ( language barrier) is difficult at best. I will update my review if: a new camera arrives, and if it functions properly. Just received a replacement camera from DB Power. It is a huge gesture. They contacted me to make it right in response to my review. I will update my review again as soon as I assess the quality of the new camera and the app that supports it. Thank you DB Power. Took it snorkeling. It was great. I really like the camera! It produce good quality videos. For the price you can’t beat it. Lots of accessories! 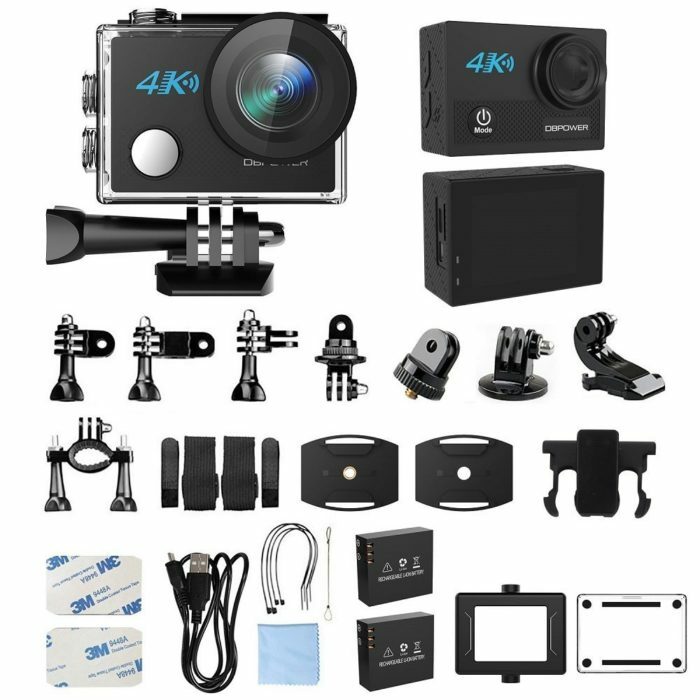 Would recommend for anyone just getting into video recording and don’t want to spend a lot of money. As it stand right now I am very satisfied with this and don’t plan on buying a more expensive brand. Easy to use action camera. Quality is fine and you can adjust if necessary. Awesome deal under the low budget !!! 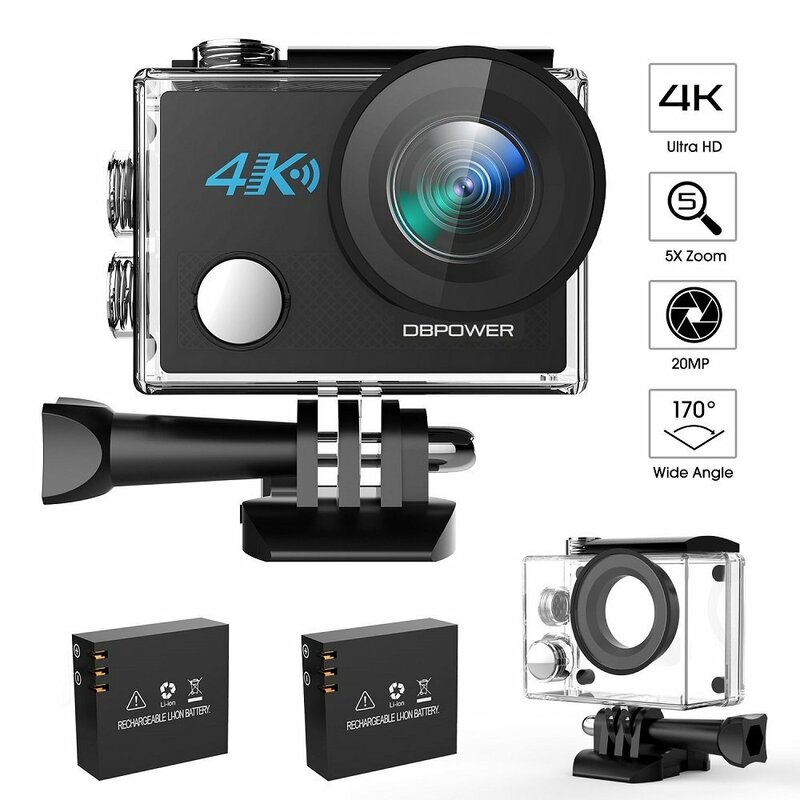 I am a Camera loving Guy and after using this one I can say this is the best deal under the low budget for action camera. 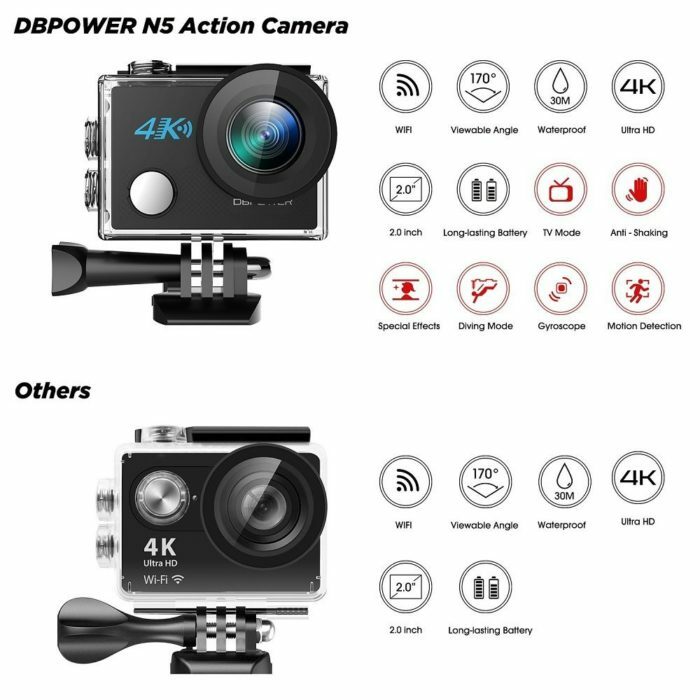 Beside this DBPOWER N5 action camera I have also used another 4K action camera but after using both of them now I can feel the difference. 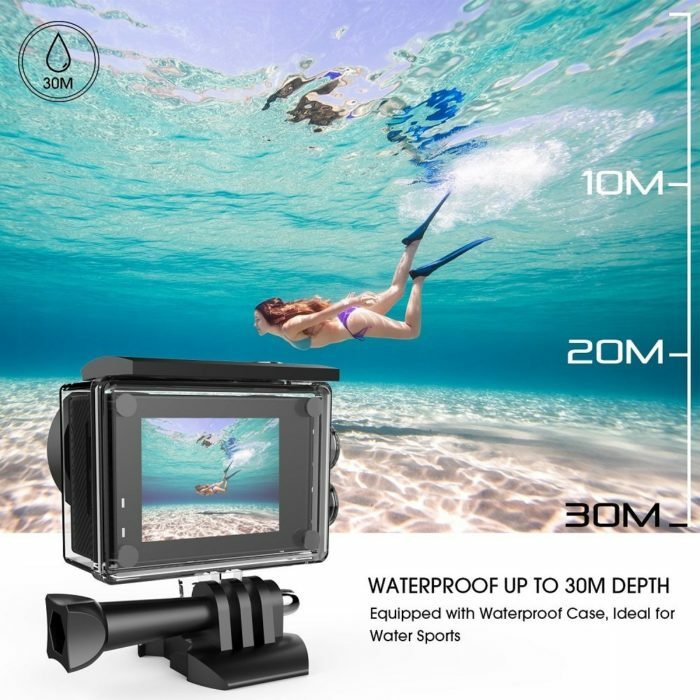 It has Sony sensor and 20MP for still photo, Not very much impressed of still photo but the video quality is superb, resolution WVGA,HD, FHD, QHD and UHD with different fps settings. 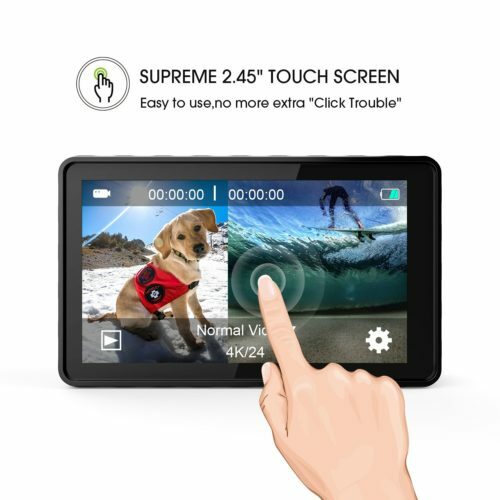 It has Gyroscope, WDR features which I like most, it also has Loop and Time-lapse Record, motion detection and many more features & settings inbuilt. You can also change the angle as well up to 170° and of course comes with a bunch of accessories. 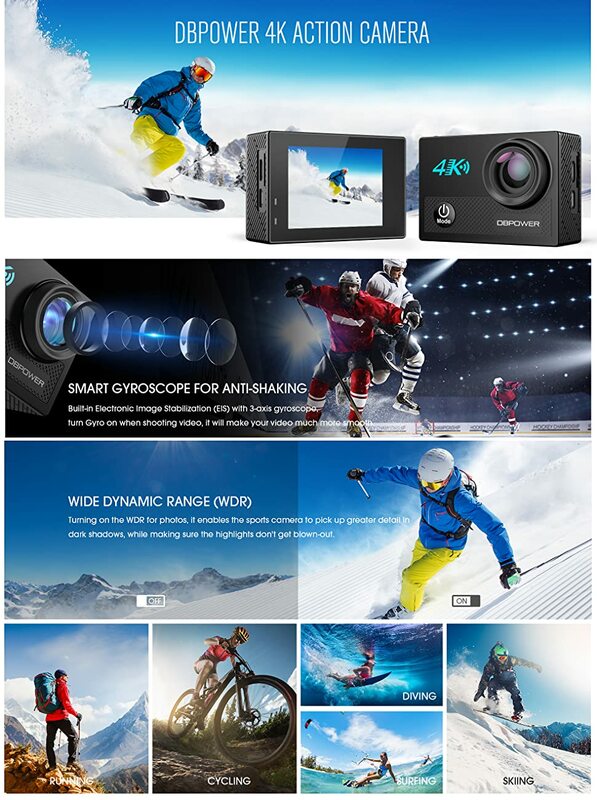 If you don’t want to spend much for action camera this little one is will be the best for you. Only thing that it does not comes with a remote but don’t think that will be a problem. The camera itself is great, but the app is not great – but unnecessary. 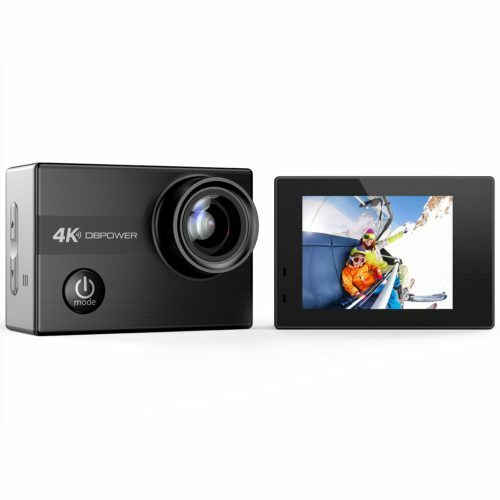 it would be nice if 4k meant UHD, but still a very capable camera, and a great value. If you have a compatible device and the app works, it will probably be better for you. Initial Impressions: 1. UHD is 2160 high, but only 2880 wide, not 3120. It does do QHD – 2560 by 1440 at 30fps. 2. I had to format the SD card, but it was fine after that 3. 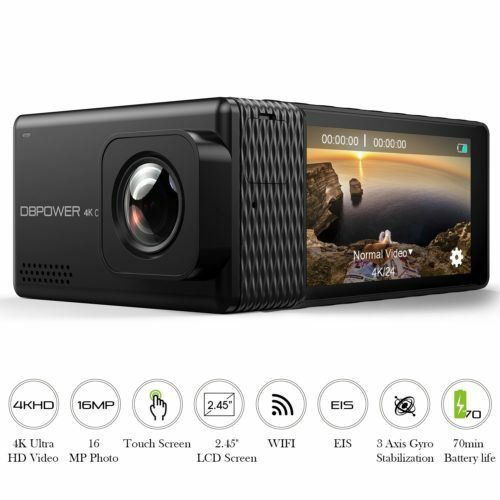 (update) It doesn’t seem to have a “the camera is mounted upside down” mode or sensing I bought this as a dash cam, and it has some nice features, but the manual is lacking. For dashcam, wider and less height would be better Surprisingly lightweight. CAR ACC means turn on when the external power source comes on. Combined with loop recording and motion activation, it seems to work well for this, but I’ll have to see longer term. It says I need Windows or Mac, but it works so far without it. I assume that is just to insure the memory device access will work. UPDATE: I have a Galaxy Tab S3 (with pen). Using the bar code it says the app is NOT compatible. I have no idea why unless they insist it must be a phone which is either stupid or they want to track me. So the Wifi feature and App is USELESS for me. Removed one star. There seems to be no sensitivity adjustment for motion detection (a bit too sensitive maybe?). It wasn’t clear how to get the screen back on – hit up or down. The camera worked perfectly we used the video and pictures when scuba diving to around 50 ft. my only issue is the battery was only working for about 45 min in video mode. other than that it was great.